This walk follows the canal towpath before detouring into Crickheath, and offers lovely open views over the surrounding countryside towards the Breiddens. 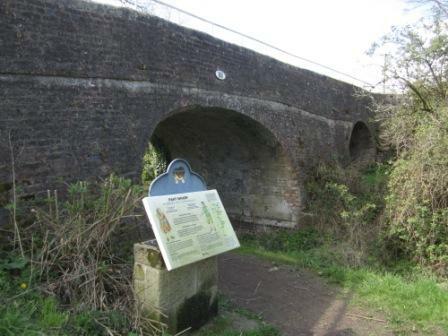 The walk begins at Canal Bridge 88 on Station Road – there is a small parking area above the bridge. 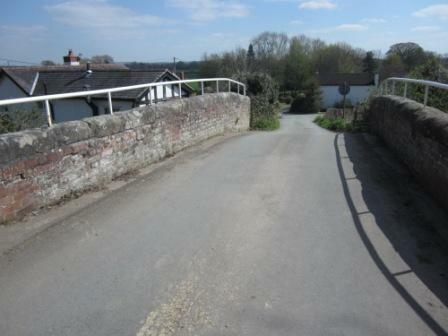 Cross the bridge and turn sharp left before Bridge Cottage to reach the canal towpath. There is an interpretive panel at this point about the history of Pant Wharf and the Owens firm who are still operating today. Turn right and follow the towpath – there are two stiles along the route. Continue along, passing the bottom of Penygarreg Lane and following the towpath over the Morda brook. This section of the towpath ends with a short climb to School House Bridge and a minor road. This bridge is the last obstacle to the reconstruction of the canal and there is currently a fundraising campaign to clear the route. You will see a sign referring to the towpath closure at Bridge 85 (the next bridge). The opening date is very overdue but is now expected for 30th April 2019. Go through the gate and continue along the towpath, which now becomes uneven. There are many tree roots and some large holes due to badger setts, so tread carefully. When you reach Bridge 85 (Crickheath Wharf) you will see the major works on the new winding hole which will allow this section of the canal to be in use by 2020. If the towpath is open, continue on as far as you like. The water begins at the next bridge, Redwith, although the canal is not in use as there is no turning point yet. Return to Pant by retracing your steps, or go up onto Bridge 85 and pick up the instructions at the asterisks below. If the towpath is closed, retrace your steps back past the canalside houses. 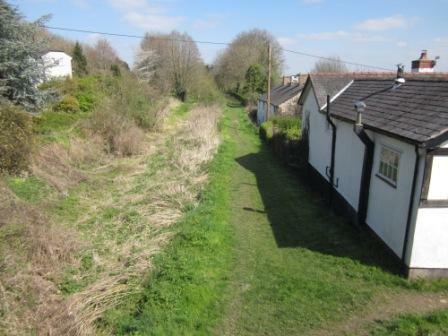 After the last house there is a track crossing the towpath, which is used by cattle. Turn right along this track and then right again following the wall. Go through the five bar gate, making sure it is secured behind you. Go past the two houses and you will find yourself on Bridge 85. *** Follow the lane into the hamlet of Crickheath, passing houses and farms. Continue along, ignoring the left turn into a dead end. You will come to a signpost, go straight across in the Pant direction. Continue on for Penygarreg Lane, or take the next left which ends at a farm and a house. Go through the gate by the house (this is a public footpath and bridleway) and follow the path, keeping to the left hand side of the garden. Go through another gate and bear right into a field. There is another gate with the public footpath sign on it. Now bear to the right hand side of this field (there is a horse in the left hand section) and continue on to the next pair of gates, again making sure they are secured behind you. Follow this lane which was the old road to Shrewsbury, and you will find yourself in Pant Trystan (Trystan’s hollow), the oldest part of the village. Clyne House on the right was the chapel and Ash Tree Cottage on the left was the shop. Your starting point at Bridge 88 is now just above you. Towpath is unsurfaced and will be muddy after rain. There are no facilities on this route.